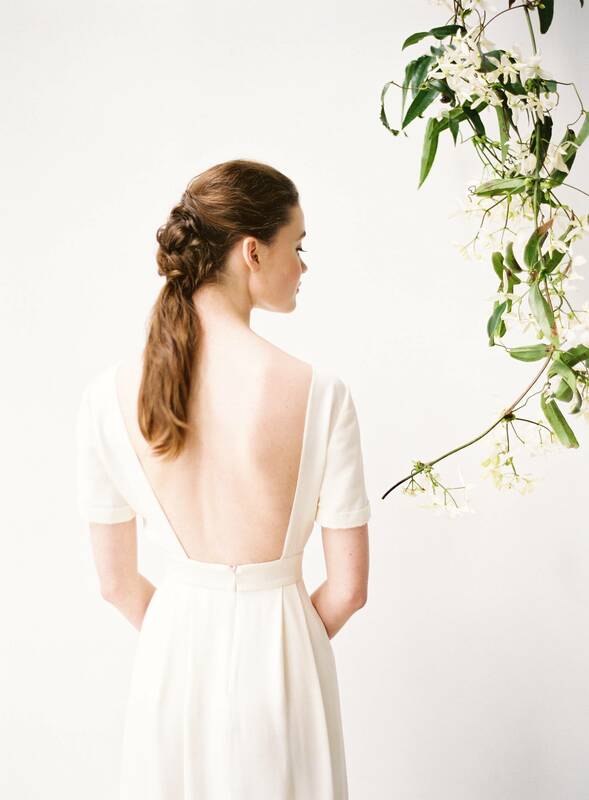 You might say we're a little obsessed with the clean, minimal aesthetics of this bridal editorial by Vancouver wedding photographer LAUREN KURC. Featuring in Issue 18 of MAGNOLIA ROUGE MAGAZINE it showcases gorgeous fresh florals by VERBENA FLORAL DESIGN and a simple yet incredibly stylish table set up by FRENCH KISS EVENTS. Lauren tells us, "The minimalist movement has been strong in weddings recently, and I have been so inspired by the beauty that can be found in simplicity. 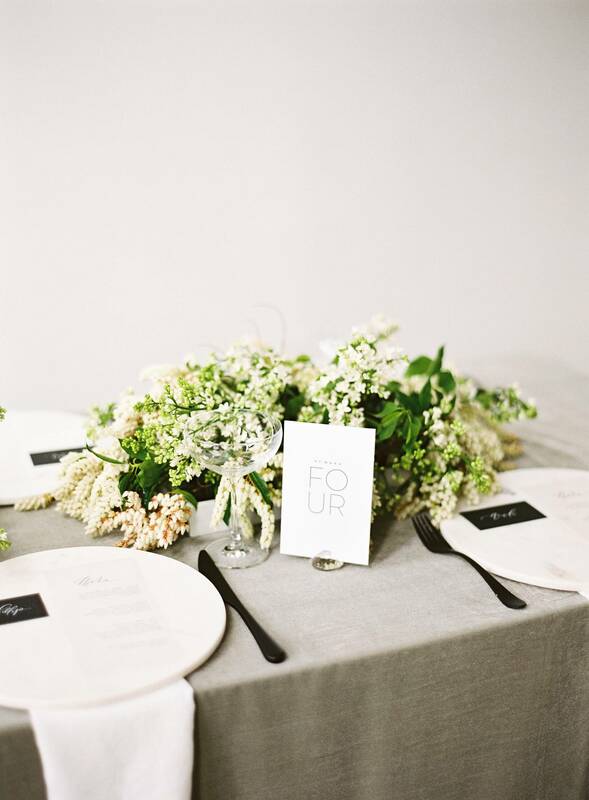 Wanting to add our own modern spin to this look though, we took inspiration from the clean lined architecture popping up in cities like LA and New York, and infused luxurious touches such as high end linens, modern paper, and exquisite florals. By focusing on a strong but neutral palette of white, grey, black and green, we were able to let the details speak for themselves, without any fuss. 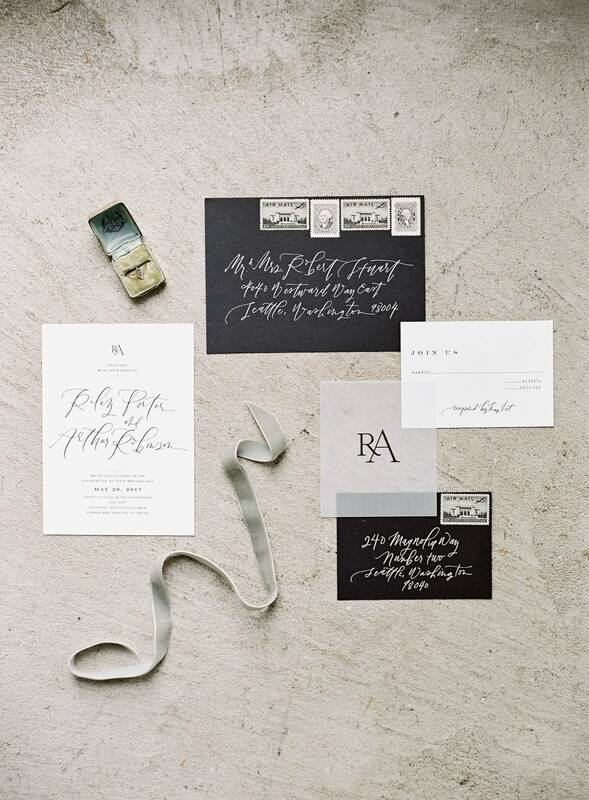 The vellum menu cards designed by LA HAPPY - one of my favourite details from the shoot - showcase OUR GOAL beautifully, as their simple aesthetic mixed with modern calligraphy is elegant but refined. The perfect blend of modern minimalism." Thank you to Vancouver wedding photographer LAUREN KURC for sharing this beautiful shoot with us. With a strong focus on natural light Lauren is devoted to story telling using a minimalist eye to shooting and a thoughtful approach to composition. You can see more of Lauren's portfolio in our vendor guide and be sure to check out this Relaxed and Modern Bridal style she captured. Love how sleek and modern this is! Especially her dress.